Evan Jay is a graduate of the Quinnipiac University Physician Assistant program where he excelled in both Pain Management and Sports Medicine. He is dual-credentialed as a Certified Athletic Trainer, graduating from the University of Delaware with a Bachelor’s degree as well as East Stroudsburg University with a Master’s degree in Athletic Training. 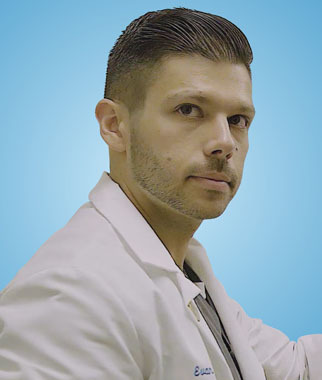 His extensive background in physical medicine and rehabilitation along with his understanding of internal medicine allows him to provide a high level of well-rounded care to his patients. He thrives to coordinate care amongst the healthcare team in order to develop personalized treatment plans to minimize pain and maximize patient recovery. As a healthcare professional, Evan takes advantage of his ability to connect with patients to create a comfortable, positive experience.